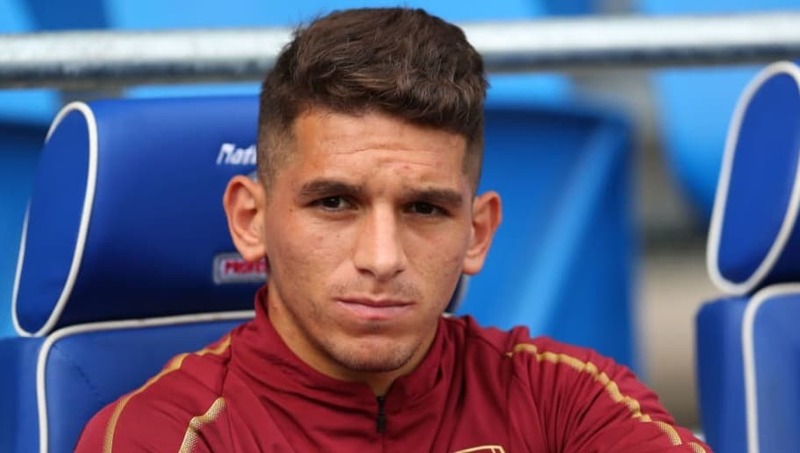 Arsenal midfielder Lucas Torreira has been training with the first team ahead of their trip to Newcastle on Saturday despite appearing to suffer a calf injury whilst on international duty with Uruguay. The 22-year-old picked up a knock during La Celeste's comfortable win over Mexico during an international friendly and was forced to sit on the sidelines during the second half. Recent performances have Torreira in line to start his first game for Arsenal at St. James' Park this weekend after making his first four appearances as a substitute, but his injury at the NRG Stadium on Saturday appeared to threaten any chance of being included in Unai Emery's starting eleven. The Arsenal manager has, however, unexpectedly given fans hope of seeing Torreira in action against Newcastle after Emery shared a picture on social media which showed the midfielder training alongside the likes of Mesut Özil and Alexandre Lacazette. The Gunners will be hoping that they can secure a third consecutive win in the Premier League this weekend after positive results against West Ham and Cardiff. Despite not starting a single game for Arsenal this season, Torreira has impressed fans with his cameo performances and after setting up Lacazette for the winning goal on matchday four, many expected Torreira to start from the outset against Newcastle. The former Sampdoria star is expected to be a long-term partner for Granit Xhaka in the heart of Arsenal's midfield, although teenage sensation Mattéo Guendouzi is also staking a claim in the club's first team.